Modern Stitching Bee, Happy New Bee Year! 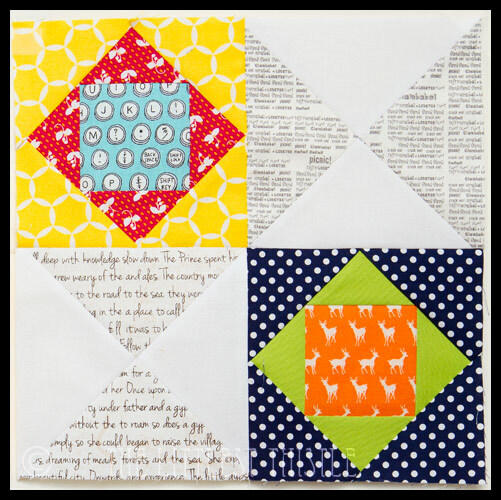 I am so glad you joined the bee and I just love my blocks, thank you! I am going to have the best quilt. Gorgeous blocks and love those colours! Don't those really specific people always come up with great things?! I'm working on my blocks for Leanne today. I wouldn't have been able to say no, either! They are gorgeous blocks! Being in a bee scares me, but if I ever did join one, I'd want people to be really specific! Or I'd take forever to make the blocks!! BAG, BAG, BAG, you know it makes sense! It's a fabulous bee with such a wonderful group. I love being a part of it. Great blocks. They're fabulous blocks and it sounds like a fabulous bee! I have never set a difficult block ever!!! These are your just desserts! I love texty fabrics…especially when paired with gorgeous colour. Nice fussy cutting on the birds there too! Smashing blocks for Leanne. These were lots of fun. They are so bright and cheerful! I just love them! Leanne is fabulous and so are those blocks! Ohhhh Awesome blocks!!! They are going to look super duper in a quilt!! 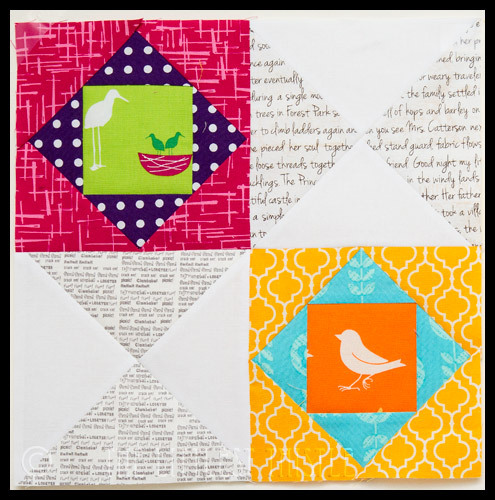 Gorgeous blocks Katy, love the fussy cut birds.